Steve started DJ’ing back in 1996 and was soon banging out tunes on infamous, though sadly now defunct, UK pirate radio station Force FM. After being spotted playing by a local sound system, Steve then became part of the crew R.P.M, and after many years on the squat party scene, earning his stripes, he became a resident for the HUB Sound System. Steve still rocks it for HUB whenever possible. Steve Mills was the only DJ to play Acid Techno on the FM dial for over a decade, and has been lucky enough to represent Stay Up Forever Records on air (Stay Up Forever Broadcast Party) as well as in the clubs. 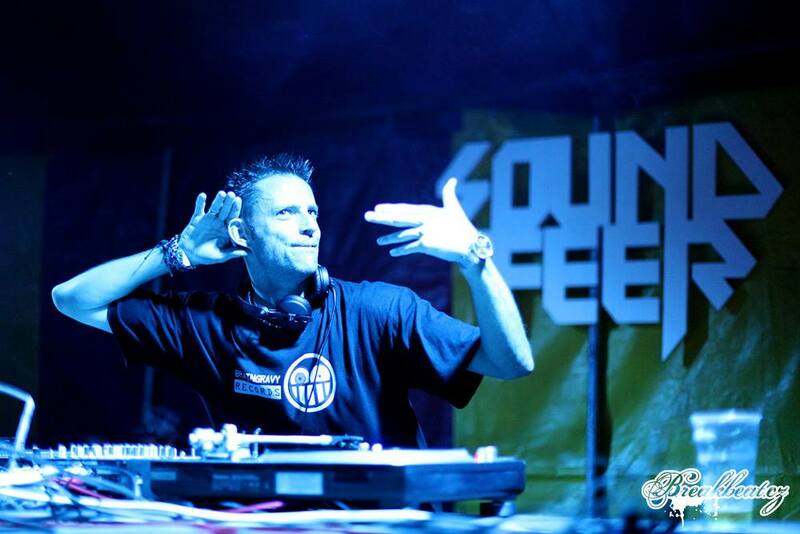 He has played alongside Chris Aaron, and Julian Liberator, D.A.V.E The Drummer, Sterling Moss, Ant, Geezer, D.D.R, Rackitt, K.N, amongst many other well respected DJs. Recently, Steve has had great success with his own productions and record labels, working with London legends D.A.V.E The Drummer, Chris Liberator, Sterling Moss, Geezer & Darc Marc as well as his many solo releases which appear on Labels like Wah Wah, Scythe Squadron, Extreme Forces, Soitiz, Flatlife Records, Stay Up Forever Projects, Stay Up Forever, Braingravy Records, Project 303 & Interstate One. Steve Mills is also part of the Monster trio “303 Pirates” with partners Chris Liberator & D.A.V.E The Drummer He has had Great international success in countries like Brazil, Poland, Germany, Netherlands, Ireland & Prague playing at events like Acid Techno Pioneers, Hardrace Underground 5 & the Amazing SoundFeer music Festival in Czech, plus more to come in the UK & Abroad. Steve Mills runs two Acid Techno Labels “BRAINGRAVY RECORDS” & “PROJECT 303″ and he is a dedicated user of vinyl records. This entry was posted in DJ Focus and tagged acid techno artists, DJ, steve mills. Bookmark the permalink.